A while ago, a friend of mine posted a link on his Facebook page for a mini Myers-Brigg test that would reveal your animal personality. Myself and several FB friends had some fun taking a minute out of the day to conduct our self analysis. And, yes, I am the INTP owl (Introversion, Intuition, Thinking, Perceiving) with the Meerkat as a close second. Funny, yes, since owls eat rodents. The test that started as a simple distraction got me thinking about characters in story-telling. Using animal comparisons is a fun way to describe a character and his actions, and if you’ve assigned the animal based on the Myers-Briggs, you’ve got a nice tool to focus your efforts. Of course you need to avoid the stereotypical anthropomorphism: The owl who is a professor for example. 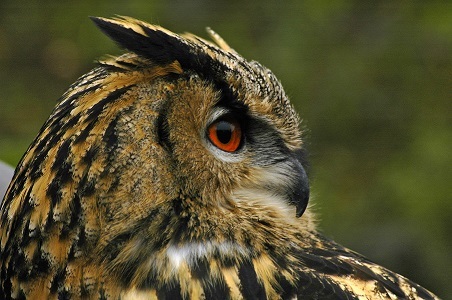 Or even the zoomorphic counterpart, the owl-like professor. Hmmmmmm. This entry was posted in Writing and tagged Writing by K. E. Blaski. Bookmark the permalink.